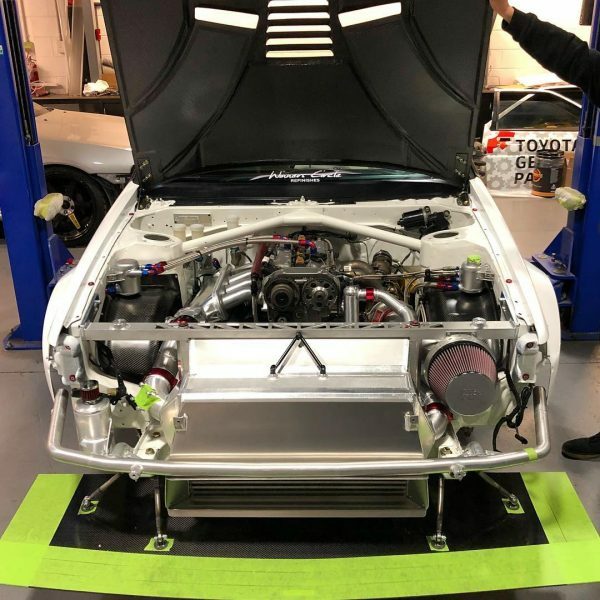 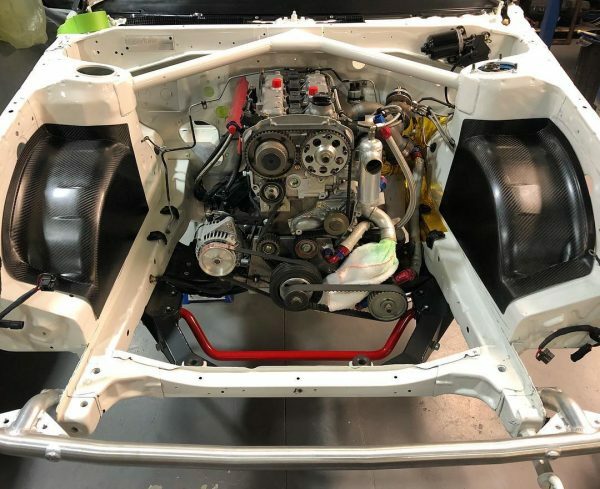 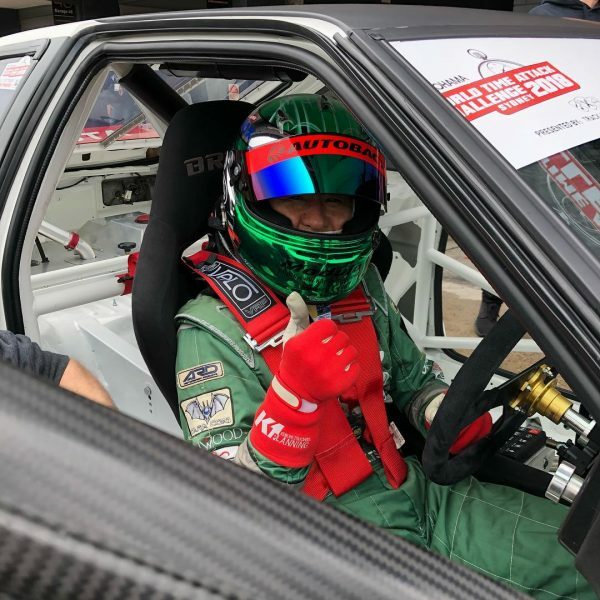 Australian drifter Beau Yates recently rebuilt his Toyota AE86 to compete in World Time Attack Challenge 2018. 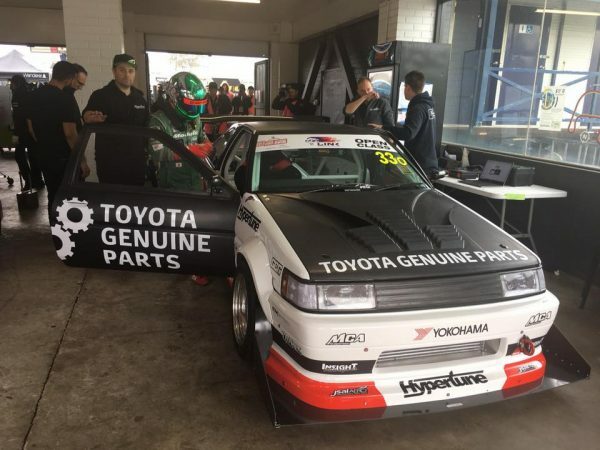 Beau had the honor of Keiichi Tsuchiya driving the car in the Open Class. 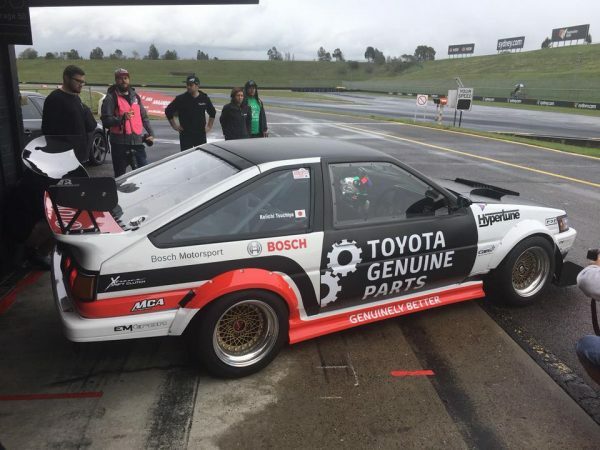 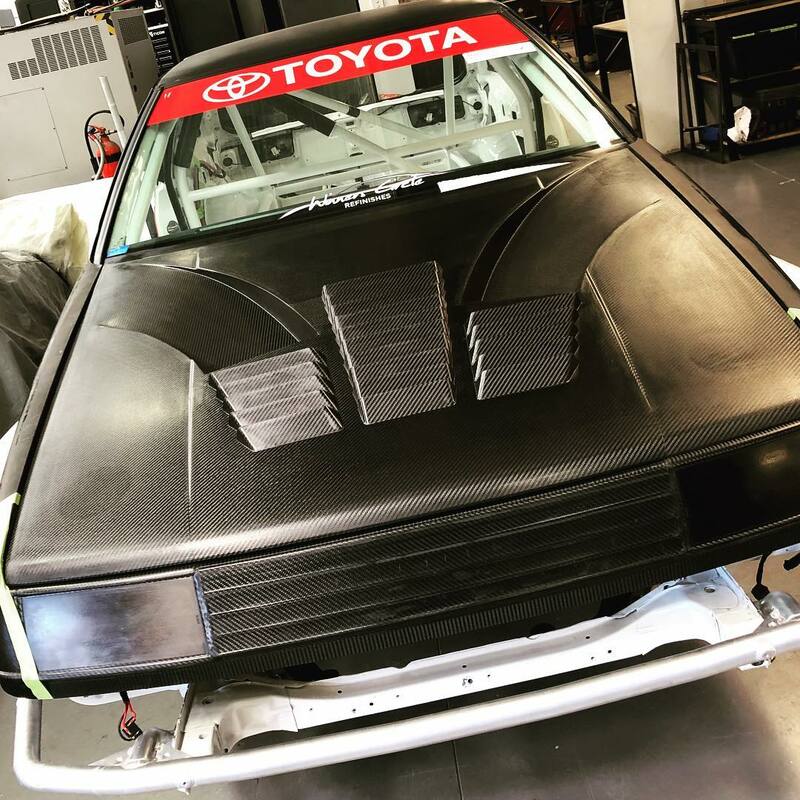 The AE86 is powered by a 2.0 L 3S-GE (Gen 5) inline-four that features Toda interals, dry sump system, Hypertune custom intake, and 84 mm throttle body. 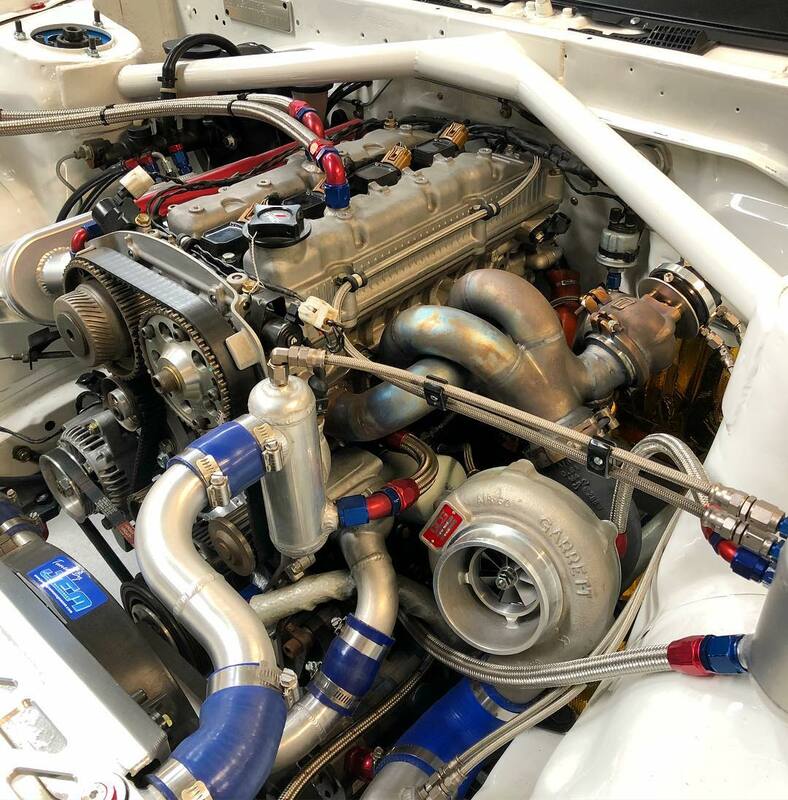 The engine makes 400+ horsepower (300+ kW) thanks to a Garrett GTX3576R turbocharger and Emtron KV8 ECU. 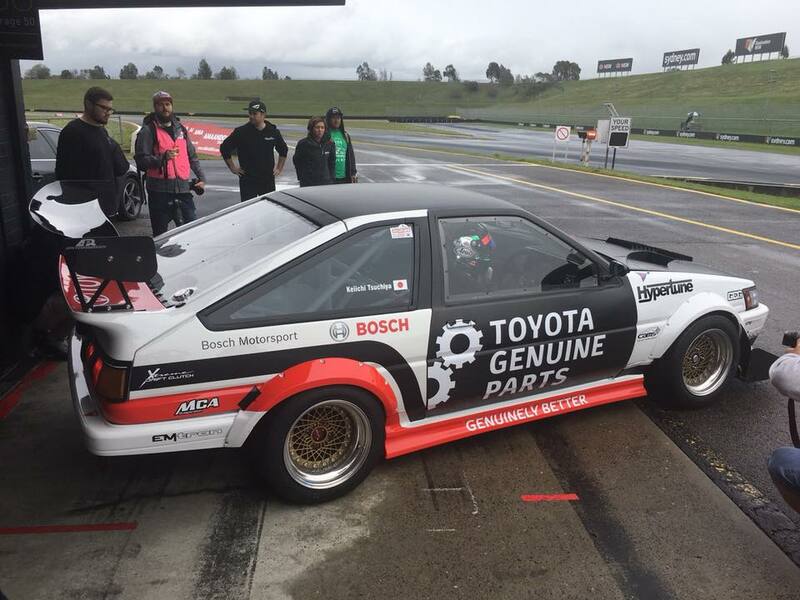 Power goes to the rear wheels through a Tractive sequential transmission and custom Hilux rear end. 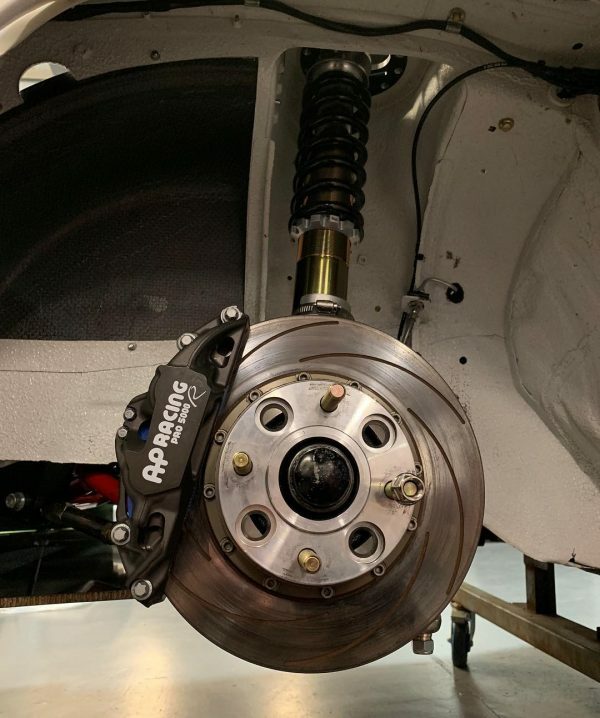 The car rides on a custom 4-link and Watts link rear suspension with MCA Gold Series coilovers and AP Racing Pro 5000 brakes with a Bosch ABS system.